Auntie Dawn told me such lovely stories about her pigs last month that I saved some for this month. If you missed that you can read it here. 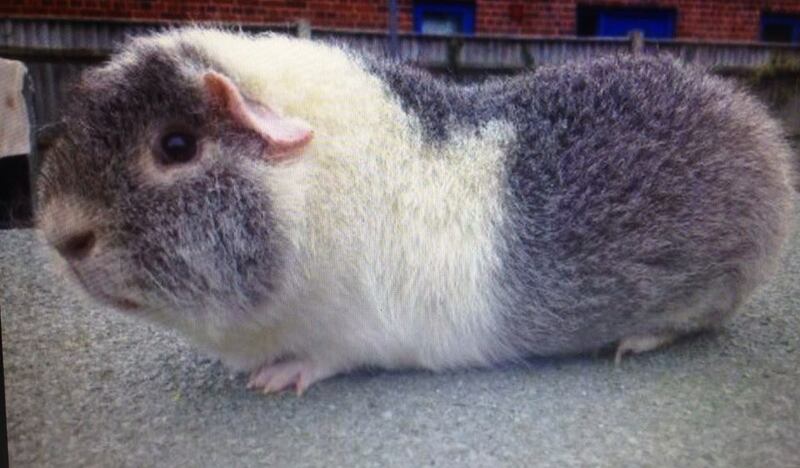 So, Auntie Dawn: What favourite memories do you have of your guinea pigs? There are so many! I’ll confine myself to talking about how we got each of our departed pigs. Willoughby was an agouti and white smooth haired boar who lived in an apartment in New York. And he was a ninja. He lived with Uncle Wayne and Auntie Dawn, and with Saku, and then with Atticus. Dawn called him the Loaf pig. I don’t know why, except he used to make himself comfortable on Uncle Wayne’s chest when he was lying on the sofa. I’ve met Uncle Wayne and I’d do that too, if I was there. He got up to all sorts of things but one of his favourites was tossing his pigloo and then complaining he couldn’t sit on it. His Momma used to laugh at him for that. He was very good at sitting on his pigloo, even when he grew far too big for it. That was his ninja training. He died suddenly in January and we were all very shocked. Mummy had already started writing his story, which is the next book in the Princelings seres, but he’s in The Talent Seekers and a lot of short stories too, because he’s Willoughby the Narrator. And a ninja. He’s a very exciting person to know! I didn’t really know Tatum. Mummy met him, and remembers him looking like Oscar, but then she says that she looks at pictures of Willow and Mr Smallweed and wonders whether she’s mixed them up. She met Tatum before she met Oscar and Midge, and it was only after those two came to live here that she realised she’d met their sire. Yes, Tatum was Oscar and Midge’s father!! Earlier this month Mummy met Oscar and Midge’s mother, or dam. Her name is Belle and she looks very like Oscar except she’s brown where he’s grey. But her face has the look of Midge about it. She’s very pretty, Mummy says. Mummy has put Tatum in her next book, the Chronicles of Willoughby the Narrator. I think she’s working on some complicated relationship in there. Roland arrived on the scene in January, after Willoughby went over the Rainbow Bridge very suddenly. He lives with Auntie Dawn and Uncle Wayne, presumably in Mariusz’s old cage. I wonder if M left him any messages. We know he’s not very old, but not exactly how old – a matter of months, anyway. He was very small and skinny when he arrived, but now he weighs 940 gms which is about the same or even more than Hector! He needs to develop a bit, that’s all. We’re all really upset and sending love to Auntie Dawn, Uncle Wayne, Atticus, Peepers and Tweek, because of the sudden passing of our friend Willoughby. Mummy is extra upset because she was working on his story all morning. We’ll all really miss him. We’ll be in mourning for him for the next seven weeks.